It's goofy pseudo-religious iconography like this that makes this article so easy to write. 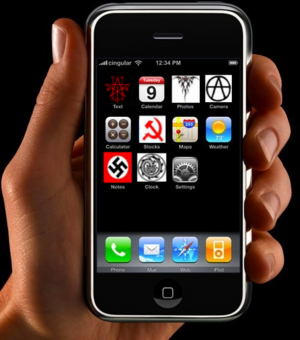 The Cult of Apple is a group of fanatical followers devoted to all things Apple, Macintosh, iPod, and iPhone. While there are no shortage of Apple fanatics who eat, think, and breathe Apple, members of the Cult of Apple take their devotion one step further and believe in Apple. The leader of this Cult is Steve Jobs and is believed to have failed. Details of the Cult were extremely sparse until December of 2006, when an intrepid journalist published a story in the New York Times detailing his experiences with the Cult of Apple. His story gleaned most of the details of the lower levels of the Cult to the general public, but the mid- and upper echelons of the Cult continue to remain a mystery. The Cult of Apple has had a negative impact on the minds of many of its followers. It is largely believed that they brainwash people by telling them to 'think different'. Ironically it turns out that most of the cult's followers turn into mindless zombies believing everything their cult leader, Steve Jobs, tells them and as a result they rather 'think the same'. 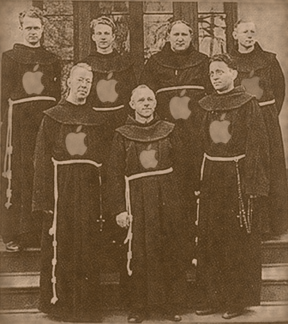 According to the smart people of the Cult of Apple, the Cult was formed in 1976 when Steve Jobs dropped from the heavens as the messenger for an omniscient, omnipotent Apple (Cultists demand that Apple receive honorary capitalization). He gathered followers who were convinced of his message that the wisdom and insight he brought from the heavens would lead the world into a new era - an era of pure epicness. According to historians, the more likely scenario is that Steve Jobs founded the Cult of Apple as a joke when Apple Computers was first formed. Once Jobs saw the fervor and fanaticism that consumers developed once purchasing Apple products, he began taking his joke very, very seriously. The Cult of Apple is a three-tiered entity. At the bottom are the Initiates. In the middle is the Outer Council, and at the top are the Hands of Apple. Initiates of the Cult of Apple. The Cult happily welcomes all those who have seen Apple's Light and possess stable sources of income. The main duties of the Initiates are to increase the faith of the initiates and perform tasks set to them by the Outer Council. When the Outer Council has no specific task, the Initiates are to simply gain more followers and penetrate them anally with their small dicks of minority. In the pouncing tiger and spotted leopard, you will find the holy book of Apple. In the eye of the pea pod, you will find the holy hymn of Apple. Across the waters, from the wiry towers, you will find the voice of Apple. 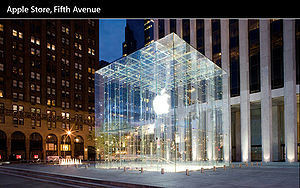 The search for the three holy relics of Apple simply end up in buying a MacBook Pro, an iPod, and an iPhone. Special keypresses by the Apple Overlords on each product unlock the Book of Apple, the sacred text of the Cult, the lyrics and melody to the Hymn of Apple, and the Voice of Apple, a purported message from the Apple deity. At the Initiation ceremony, the prospective Initiates must recite selected passages from the Book of Apple and interpret their meaning, sing the Hymn of Apple, and listen to the Voice of Apple, which is a voice mail laced with subliminal messaging. After these tasks are complete, the group must then demonstrate their loyalty by sacrificing a Windows user, shouting "I am a Mac, you are a PC," in a blood-curling scream before stabbing the victim. One of the many iterations of the iPod, this one specially designed for the Cult of Apple's secret rituals. The Outer Council handles the day-to-day affairs of the Cult of Apple. The responsibilities of this task involve fund-raising, punishment of wayward initiates, and advanced rituals involving the opening of gateways to foreign dimensions. All these tasks can be summed by one term: product design. 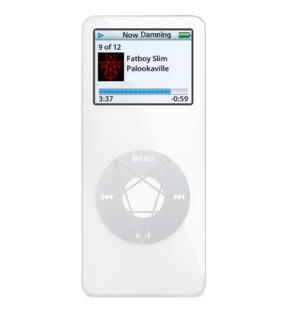 The Outer Council is responsible for the many incremental variations of the iPod, including the seven generations of the iPod Classic, two generations of the iPod Mini, three generations of the iPod Nano, which replaced the Mini, two generations of the iPod Shuffle, and the iPod Touch, as well as the many upcoming incremental variations of the iPhone. All three of their responsibilities are fulfilled in redesigning their products over and over again. Faith in Apple is increased with every purchase of an Apple product, punishing initiates and revitalizing their faith; milking a product for all it's worth increases money tremendously; and Apple (the corporation) could only have obtained this idea from a hellish demon of avarice from another plane. And passage to a higher authority will be within grasp. It is therefore highly believed that the Outer Council is responsible for PC vs. Mac flamewars. One of the many products designed by the Cult of Apple's team of demongineers. 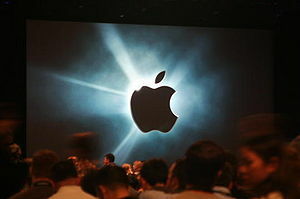 The Hands of Apple are the most secretive group of the Cult of Apple. Little is known about their purpose, their number, or their identities. The cult members themselves speculate widely on the issue of this group. 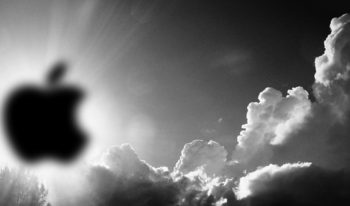 Some say they are angels of Apple, called down from the heavens to guide the world to a new future. Others believe that the Hands of Apple possess no physical being, having transcended to a higher form due to their intense faith in Apple. The Hands of Apple communicate with other followers once a year during an event of incredible significance to the Cult of Apple: Macworld. Even then, however, they are masked by the anonymity of iChat, and only relay very general orders regarding the progress of the cult. Considering the Hands of Apples' screen names during these chat sessions, the identities of this mysterious group can be easily discovered as Steve Jobs and his clones Steve Jobs1, Steve Jobs2, Steve Jobs3, and Steve Jobs4. Alternatively, Steve Jobs was simply running five instances of iChat and unskillfully managing five different screen names. Believe it or not, this is not god. The cultists' love of the Apple deity can best be described as strange. The cultists believe that Apple is an omniscient, omnipotent, omnibenevolent apple. This would make Apple the most remarkable apple in the whole of the cosmos, as most apples are more commonly known for their taste and fruityness and less for their sentience and benevolence. They practice strange mystical rituals which are called mac encryption and only the chose ones can participate. Thou shalt provide for thine self that thou might purchase from Thy Lord Apple. Thou shalt purchase from Thy Lord Apple and rejoice. The cultists' enjoy Apple's simple commandments as well as Its simple plan for eternal happiness, unlike some other deities, whose plans for his followers are difficult and have a high price for failure. In texts such as the iBible there is scenes of an Armageddon-type end. Like all other religions in the end there will be a battle of good and evil. The beginning of the end will start when the human race realizes the origin of Apple. the origin of the company is believed to be just a company . As people stop believing in Steve Jobs the creator of everything Apple. As people start to iSin this angered Steve Jobs and he decided to punish the world with another failed operating system, known as Lion. As Steve Job's power started to weaken, Bill Gates the ruler and founder of the Microsoft, along with Steve Ballmer, the CEO of Microsoft, waged a war with Steve Jobs. As a holy fight ensued the Outer Council decided to send an all out attack on the Microsofties. When the Initiates attacked Microsoft they were out-numbered, and felt the potential taste of defeat. lucky for the disciples of Macintosh, the Hands of Apple came and played terrible music on their holy iPods, causing Microsoftians to collapse in pain as they listened to sub-HD music, allowing the Cult of Apple to take the city. None of the followers of apple realized that in 1998 the Microsoftians and Bill Gates had given refuge to the Apple from certain doom as it fell into bankruptcy. Microsoftians and Bill Gates gave them a billion dollar lifeline and said "be good," though not long after Steve Jobs would come back into power. As the Initiates celebrated the victory, the Microsofties decided to use their secret weapon...Cydia. As the Microsofties started to Jailbeak the Apple's power declined and so Apple's reign fell and Steve Jobs was defeated and the Cult of Apple broke up with much infighting. Many Cultists have made pilgrimages to places such as these, which nonbelievers have termed 'stores'. Many, many pilgrimages. Since its inception in 1976, the Cult of Apple has attempted many plans in order to bolster membership and control the world, with varying degrees of success. Their plan to influence other electronic designs has largely succeeded, but in an unexpected way. Rather than subtly influencing other companies to incrementally improve their products while at the same time shafting the consumer, other companies have instead adopted Apple products' external aesthetic. Now, consumer electronics must be designed with shiny coats of shiny white plastic with pleasing face buttons. Their plan to generate a horde-like following has succeeded. While Apple Cultists are mostly social undesirables, Apple products have become something of a trend. A casual walk down any street shows many douchebagspeople proudly displaying the signature white ear buds of Apple products as if to say, "Hey look everybody, I like the same things that everybody else does. I fit in, so I'm awesome, aren't I?" Despite the penetrating power of Apple products, membership in the Cult of Apple has not increased proportionally with Apple sales. This is more than likely due to elitism that the cultists possess and their tendency to alienate potential initiates because the cultists believe that they are not true Apple worshipers. This page was last edited on 8 October 2012, at 04:13.